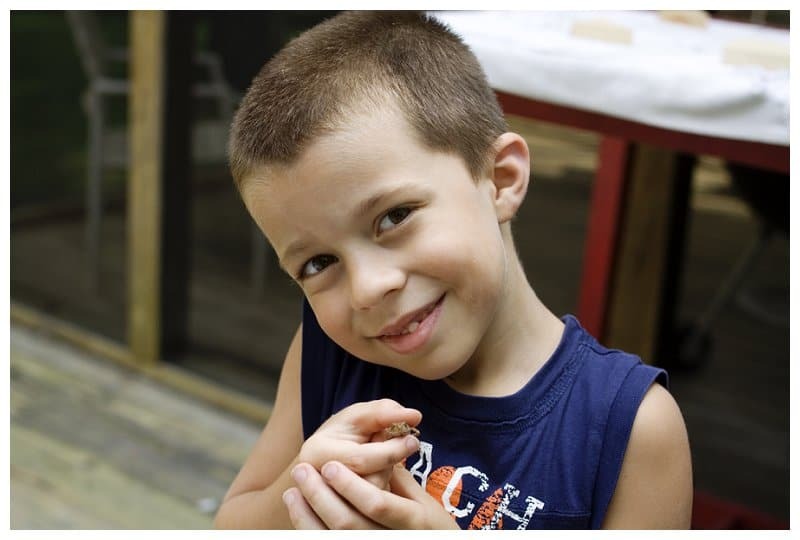 Michael loves tiny critters- frogs, lizards and worms are his favorite playmates. While at Grandma’s house last week he found a tiny frog to play with. He named it Hopster and played with it for an entire afternoon, even building it a play area with croquet mallets. He reluctantly let it go into the yard that afternoon, but to his delight he found it again the following day. I mentioned that Hopster probably lived in the damp ground under the hay bales in Grandma’s back yard. Well, apparently when Michael released Hopster into the wild he lifted a hay bale, placed Hopster underneath it and then dropped the hay bale back into place. Unfortunately, that didn’t work out too well for Hopster. When we came back to the house after a boat ride, Michael lifted the hay bale and happily found little Hopster in just the spot he left him. When we realized the frog was dead, and told Michael, he was devastated and quite traumatized. He drew a memorial picture of Hopster and carried it all night long. When I checked on him as I went to bed, I found him asleep with the drawing on its own pillow beside him. Later the following morning, just before beginning our drive home from Grandma’s house, I saw another frog jumping down the sidewalk. When I called Michael over, he dropped his backpack and drawing of Hopster and scooped up the new frog. We really needed to get on the road, but we didn’t have the heart to make Michael leave his new love at Grandma’s. So Grandma found a bug catcher and Michael rode the whole way home, happy with his new frog in his lap. 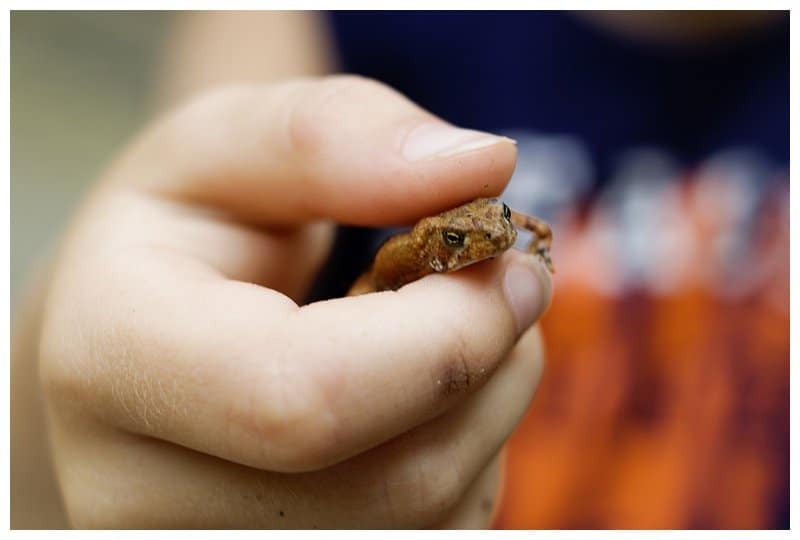 Meet Forrest the Frog, who will hopefully survive in our yard and come out of hiding often for Michael to play with. He got it naturally. Remember when you and Rob had the turtles.